Hi there, I'm trying to get a column of 4 with 2 images and 2 with just text. We imported a form from FormsCentral, one mostly worked with the formatting, the second one displayed everything in a single column. I've read plenty of information, I tried doing it through CSS but it's not exactly working. I also don't get the shrink option and it's not allowing me to place things properly. Edit: I mostly figured it out with CSS.. but I figured it'd be more intuitive and I wouldn't have to. 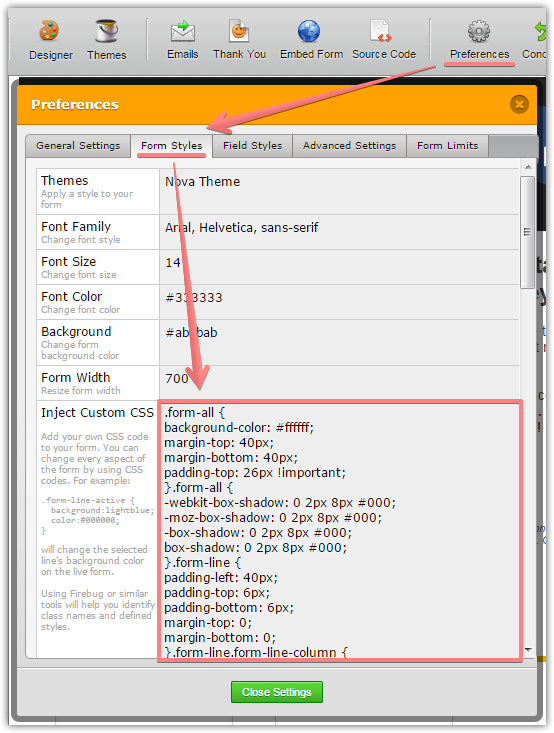 The Adobe FormsCentral imported forms are styled with a bunch of auto-generated CSS code to replicate the original form design. It means that these imported forms might be harder to operate compared to the forms created with our service from the scratch. If you are facing any issues, please provide us with the form name and details about the issue(s). We will be happy to help.